What can you explore during 1 week in Vietnam? 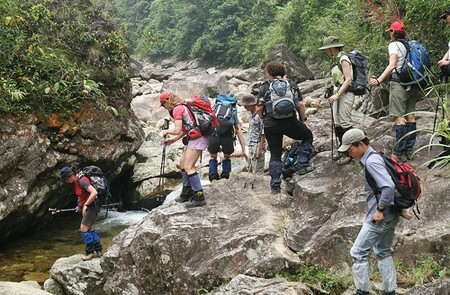 Within Vietnam Itinerary 1 Week, you will have a chance to discover all magical highlights throughout the S-shaped country. 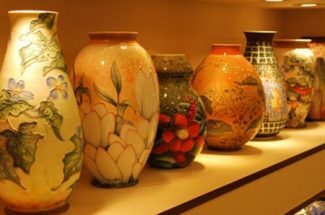 Visiting poetic Hanoi Capital, you will wander around a ton of historic sites as well as incredible iconic places such as One-pillar Pagoda, Temple of Literature or Hoan Kiem Lake. 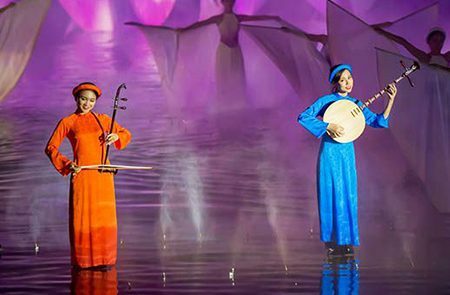 It’s such an interesting experience to stroll around Hanoi Old Quarter to sample mouthwatering street food, sip a cup of Egg Coffee, and enjoy the impressive Water Puppet Show at Thang Long Puppet Theater. Your tour also takes you to Halong Bay where you can explore an amazing natural splendor, admire the golden sunset, have a romantic dinner on the dock before spending a night on a luxury cruise. Stop by Hoi An to appreciate the secret beauty of this ancient town, and attend a cooking class to know more about Vietnamese cuisine. This journey will continue with Ho Chi Minh City where you join in a Vespa tour to explore all the attractions of the city before moving and soaking into a colorful floating market in Mekong Delta. 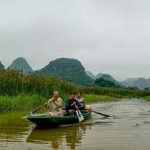 With stunning landscape, traditional cuisine, and super friendly locals, Hanoi has been on the top of the bucket list of all type of tourists when traveling to Vietnam. If you visit Hanoi in September, you will be mesmerized by the scent of Alstonia which is a very typical flower for autumn in Hanoi. You also have a chance to enjoy “com” which is one of the most favorite gifts during this season. Actually, “Com” is green rice flakes or grilled rice made from unripe sticky rice. Although you can try “Com” in many places even vendors in Hanoi, Vong village is the best place to enjoy this special dessert as well as witness all the traditional Com making procession. Listed as a UNESCO World Heritage, Halong Bay enchants tourists with its thousands of stunning limestone islands. Visit Halong Bay to cruise amid the majestic karsts seascape and soaking into the changing scenery of pinnacles as you pass by. 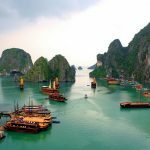 Halong Bay boats a ton of caves waiting for you to explore including the Sung Sot Cave which impresses tourists with three mammoth caverns or Dao Go Cave which is well-known for the superbly weird stalagmites and stalactites. 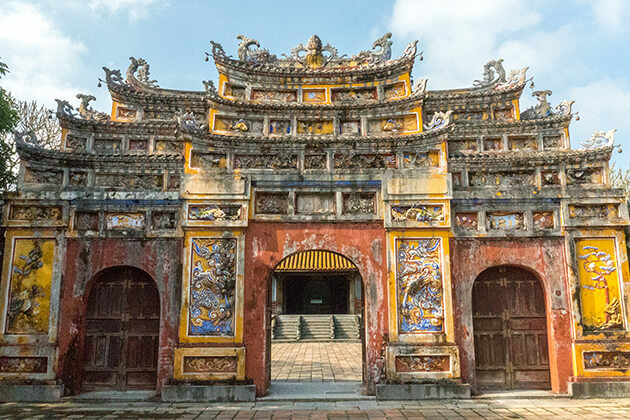 Hoi An captures the heart and the soul of tourists by its impressive architecture which is a perfect combination of Vietnam, Chinese, and Japanese architecture. 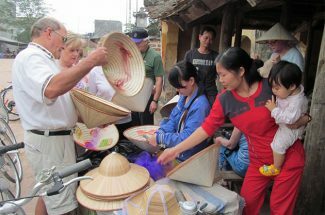 Visiting Hoi An, you cannot miss some famous highlights of the town such as Tan Ky House, Japanese Covered Bridge, An Bang beach, and Tra Que village. One of the most interesting activities in Hoi An is attending a cooking class to know more about Vietnamese cuisine as well as taste a ton of delicious dishes. As a buzzing and crazy commercial hub of the country, Ho Chi Minh is an ideal destination for big city fans. 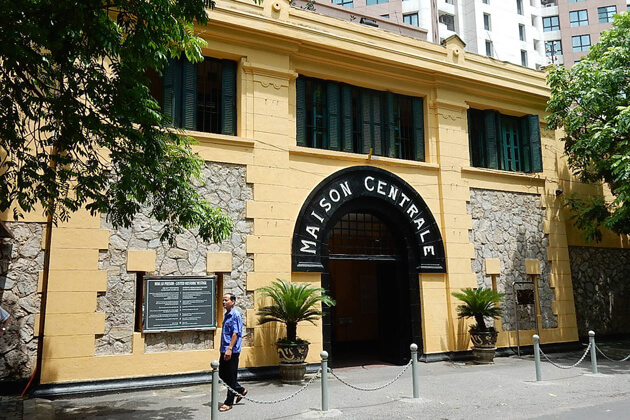 Getting to this city, you will find a ton of attractions such as The Reunification Palace, the grand Notre Dame Cathedral, the History Museum, and Ho Chi Minh City Museum which has a brilliant collection of artifacts that weaves together the story of the city. You also can shop until you drop in some of the most modern shopping malls in Vietnam or soak in a pub to experience the bustling nightlife of the city. Known as the ‘rice bowl’ of Vietnam, Mekong Delta is a perfect place to taste unique cuisine as well as get to glimpse of the lifestyle of locals living along the river. 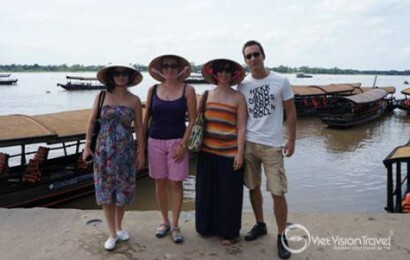 Visit Mekong Delta in July, you will not only have an opportunity to soak into bustling atmosphere of Cai Rang floating market but also can enjoy hand picking sweet fruits from tropical orchards. 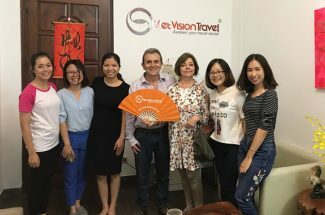 Viet Vision Travel offers a variety of Vietnam vacation packages as well as Indochina tours, here are some typical itinerary we suggested for you.